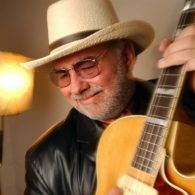 Whether it’s a song, a style, an idiom or an image, guitarist Duke Robillard will render it with mastery, power, nuance and an unerring grasp of its essence. Duke has carved out one of blues’ most illustrious legacies, while also exploring lofty related territories as a guitarist, vocalist, songwriter, bandleader, studio sideman, producer, and educator. Duke’s resume is decorated with Grammy nominations, Handy Awards and Blues Music Awards.